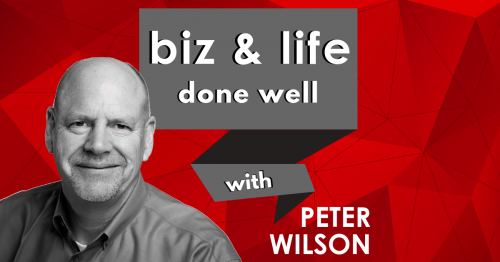 Welcome to the Biz And Life Done Well podcast with Peter Wilson where we explore what it means and what it takes to do business and life well. Peter is the Founder and President of bizmktg.com. New episodes are released Friday mornings. We’d love to hear your questions, feedback, and names of people we should consider interviewing.